Happy Friday everyone! It's been "one of those days" so this is going to be a quickie post for you tonight. What do you think of this one? I am not a huge fan of duo/multichromes but I really like this one! 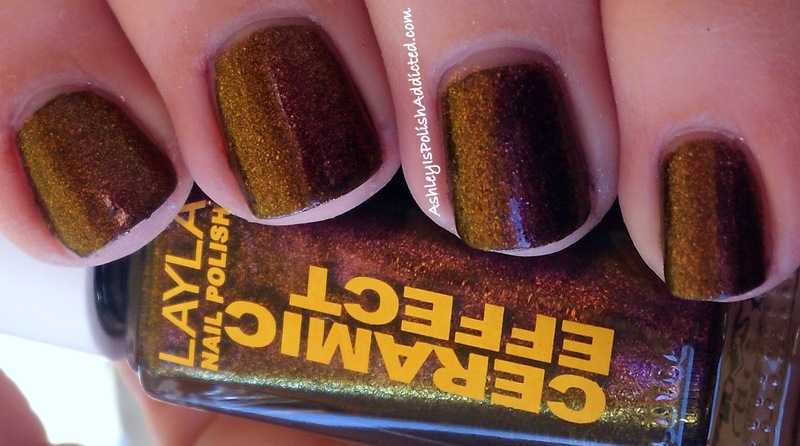 Layla Polishes are available at Ninja Polish and the Ceramic Effect Polishes retail for $9.95 for a 10ml bottle.